Co-organized by the Prague Castle Administration and Museum of Decorative Arts in Prague, the prestigious 2013 Stanislav Libenský Award is now accepting applications according to an announcement by the Prague Gallery of Czech Glass. 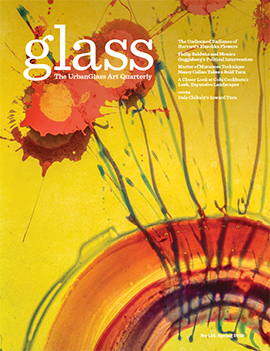 The competition is open to any graduates of BFA or MFA programs around the world who have used glass in their final thesis projects. The jury consists of several experts in contemporary glass. The jurors include Sven Hauschke, the director of the European Museum of Modern Glass in Coburg, Germany and the curator of the art collections at Veste Coburg; Douglas Heller, the owner of Heller Gallery in New York, New York; Milan Hlave?, Ph.D., an art historian, curator, and the head of the glass, ceramics, and porcelain collections in the Museum of Decorative Arts in Prague; Martin Janecký, a Czech glass artist and educator active mainly in the U.S.; Sylva Petrová, an emeritus professor of the University of Sunderland in the UK; and Angela vander Burght, a Dutch writer, independent curator, and consultant who specializes in glass. In late July, the jury will select glass pieces from the entries to display at the Royal Summer Palace at the Prague Castle from September 20 to December 1, 2013. This exhibition contains a wide array of the best contemporary glass pieces—in the past, the works have been by artists from over 30 countries and 40 universities. The selected works will then be judged again in person on September 19, 2013, during which the winners will be announced at a gala evening at the Ball Game Room at the Prague Castle. Winners will receive opportunities that will further their glass careers. Sponsored by the Pilchuck Glass School in Seattle, Washington and Jaroslava Brychtová, the first place winner will receive admission into a course at the Pilchuck Glass School for a three-week residency program during the summer of 2014. The second place winner will receive a one-week stay at (glass_company)” target=”_blank”>Moser, another Czech glass company, will also award a special prize. Additionally, first, second, and third place winners will have their pieces sold at an art and antiques auction on November 23, 2013 at the Marriott Hotel Prague. The auction is organized by Dorotheum, one of the world’s oldest and largest auction houses based in Vienna, Germany. Now in its fifth year of existence, the award also honors the memory of the internationally acclaimed Czech glass artist, Stanislav Libenský (1921-2002). Libenský is remembered for redefining the glass medium as having serious artistic purpose in architecture and sculpture. Along with his wife and lifetime collaborator, Jaroslava Brychtova, he taught and influenced countless glass artists in Europe, Japan, and the U.S. Influenced by early 20th century Czech Cubism and metaphysical philosophy, both his wife’s and his own works play with abstraction. His glass pieces are on public display throughout Prague, such as on the facade of Prague’s National Theater building or on the windows of St. Vitus Cathedral. His works are also well represented at U.S. museums, including among the collections of the Metropolitan Museum of Art and the Corning Museum of Glass. In accordance with its call for international applicants, the Stanislav Libenský Award has been given to an increasingly diverse range of glass artists. In 2009, its inaugural year, the award was bestowed primarily upon Czech glass artists at 20 winners, 15 other European entrants mostly from eastern Europe, and only one Asian entrant. However, in the past year, 2012, while Czech glass artists have still been consistently represented at 14 winners, winners from 24 other European countries have been selected, as well as three Asian entrants, and one American. Over the past four years of the award, 154 glass artists from 29 different countries have been recipients. To view past examples of the works selected for exhibition at Prague Castle, including the winning pieces, the 2009, 2010, and 2011 catalogs are available for download here. The deadline for entry is June 28, 2013. 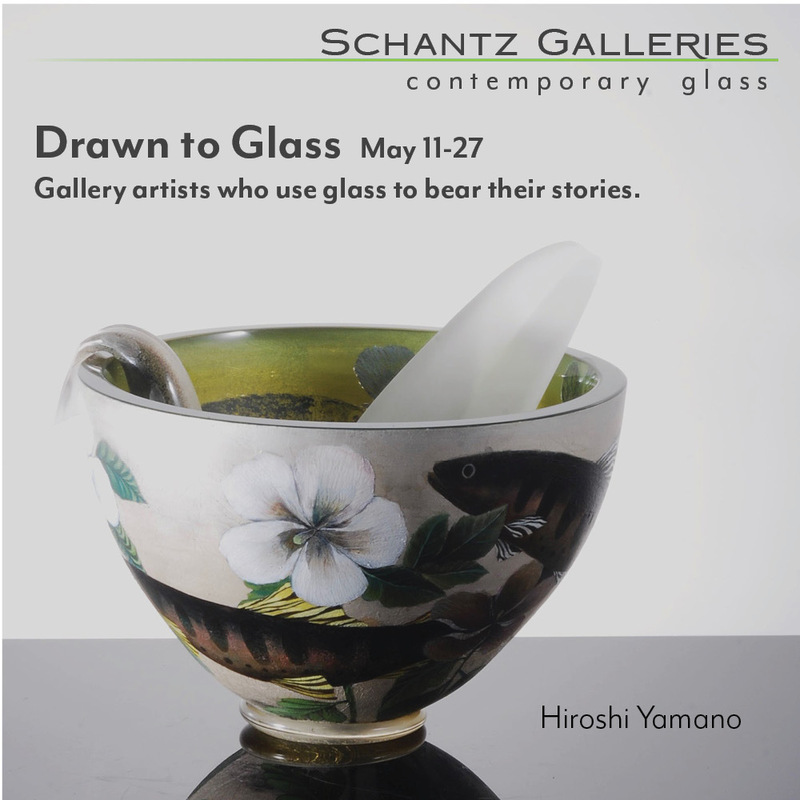 Entrants must send the application form, photos of the artwork, artwork annotation, and their C.V. to the Prague Gallery of Czech Glass. To download the application form and the terms and conditions, click here. For more information, visit www.prazskagalerie.cz/en/stanislav-libensky-award.